Good accountability programs provide good information. In literacies education, this means providing the public with information about how we support students in developing the range of literacies and communication skills highly valued in globalized, technologically-linked societies. It also means demonstrating what students are able to do with their literacies skills, how they take in, process, and communicate their ideas while working independently and/or in collaboration with others. Parents and the general public still need and want information about students' reading and writing development, but narrow measures of these skills provide little insight into the work of students and schools. Researchers with The Multiliteracy Project, working with teachers and administrators in The Vancouver School Board, are grappling with these issues. We are exploring how teachers might give accounts of their literacies practices, accounts that will supplement the information currently provided to educational stakeholders. The pages for Admiral Seymour, Lord Byng, and Sir Matthew Begbie schools include examples of these teachers' accounts. Warning: You are a robot. I believe I have a responsibility to not only educate the minds, but also the hearts of my students. I want my students to look at knowledge in a connected and ethical way. This involves higher level thinking skills and a greater degree of personal self-understanding on an intellectual and emotional level than simply memorizing facts in various subject areas. This project takes a closer look at how I encourage students to attain greater self-understanding through providing opportunities for the students to consider who they are, and the types of lives the students would like to lead. This project also explores the ways in which I have encouraged students to connect knowledge to action in service to differing levels of community. Images of the students engaged in the shoreline clean-up at Vanier Park and the simultaneous data collection on the categories of debris accumulating on the shoreline. What is The Multiliteracy Project? 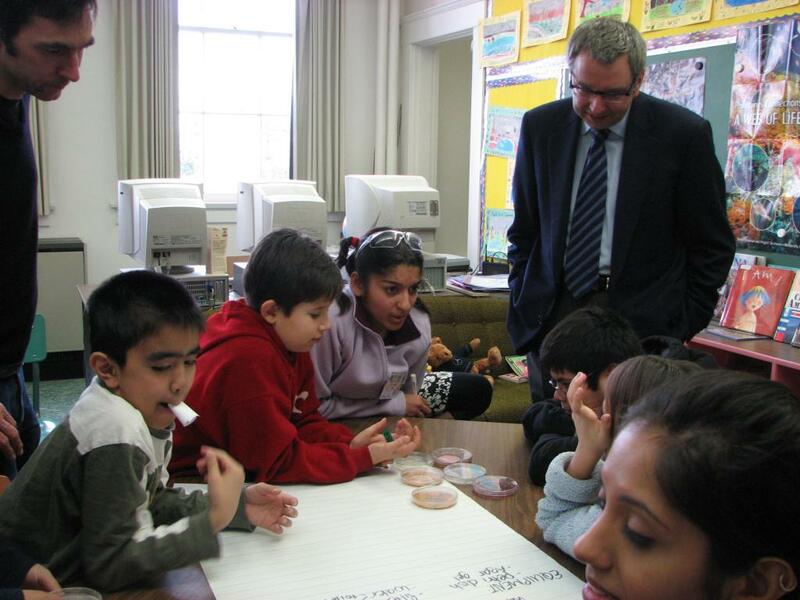 The Multiliteracy Project is a national Canadian study exploring pedagogies or teaching practices that prepare children for the literacy challenges of our globalized, networked, culturally diverse world. Increasingly, we encounter knowledge in multiple forms - in print, in images, in video, in combinations of forms in digital contexts - and are asked to represent our knowledge in an equally complex manner. Further, there is international recognition that Canada's linguistic and cultural diversity are a source of its strength, and a key contributor of Canada's social and economic well-being. The challenge is to assist our schools in helping students to achieve a more diverse folio of literacies. The term multiliteracies was coined by the New London Group (1996) to highlight two related aspects of the increasing complexity of texts: (a) the proliferation of multimodal ways of making meaning where the written word is increasingly part and parcel of visual, audio, and spatial patterns; (b) the increasing salience of cultural and linguistic diversity characterized by local diversity and global connectedness .